Today, we welcome Molly Harper! Molly has been writing for a long time, setting up her own " writing office" with a manual typewriter in the family living room when she was just eight years old. She then wrote her first story; of a trip around the world with her third-grade class in which a classmate was lost in each city. I wonder if her classmates ever knew? She majored in print journalism at Western Kentucky, married her high school sweetheart and eventually turned her talents to writing novels. Her books range from accidental vampires to naked werewolves to straight contemporary. Molly joins us today to talk about her newest book, her first haunted house story: BETTER HOMES AND HAUNTINGS. Hi, Molly! Welcome to the Romance Dish! It’s a pleasure to host you today. Your new book, BETTER HOMES AND HAUNTINGS will be released June 24th. Please share with our readers what they can expect from this book. This is my first standalone paranormal romance and my first haunted house story, so I am super excited about it! I spent a lot of time concocting The Crane’s Nest, a Gilded Era mansion that never quite thrived as a family home as Gerald Whitney, the business tycoon who built it was accused of murdering his wife shortly after it was completed. The murder mystery and inevitable stories of hauntings and family curses followed the Whitneys throughout the generations. Deacon Whitney, a social media mogul who has managed to rebuild his fortune, wants to restore the house to its former glory and finally put the supernatural rumors about his family to an end. The team of experts he assembles to remodel the house is contracted to live there over the summer while the work is completed, a measure he had to take after mysterious noises and cold spots chased away previous teams. Landscaper Nina Linden is hired to rehabilitate the gardens and she sees it as her chance to rebuild her failing business after being cheated by her unscrupulous ex-partner. She never expects that her new client would see more in her than just a green thumb. But Nina shows no signs of being scared away, even as she experiences some unnerving apparitions herself. And as the two of them work closely together to restore the mansion’s faded glory, Deacon realizes that he’s found someone who doesn’t seem to like his fortune more than himself—while Nina may have finally found the one man she can trust with her bruised and battered heart. What inspired you to write a haunted house story? Have you ever had a personal experience with a haunted house? I have always been fascinated by hauntings, but the backstory of the ghost never really makes me say, “WOW.” I wanted to write the biggest, twistiest ghost story I could manage and I hope the reader enjoys it. At first glance, a landscaper and a software mogul seem an unlikely pairing. What is it about Nina and Deacon (love that name, by the way) that convinced you that these two people belong together? Beyond the face that they’re both intelligent and kind people, interested in a lot of the same things, they’re both nerds in their own way and could be perceived as “Beta” types. But over the course of the story they’re forced to become badasses, chasing down ghosts and nefarious ex-partners and defending each other from the same. They both just needed the “kick start” to bring out their more aggressive nature, and it turns out to be each other. Will there be more haunted house books in your writing future? I hope so, I had a really good time writing this one. You also have a book coming out in September. Will you give us a preview of SNOW FALLING ON BLUEGRASS, the third book in your contemporary Bluegrass series? 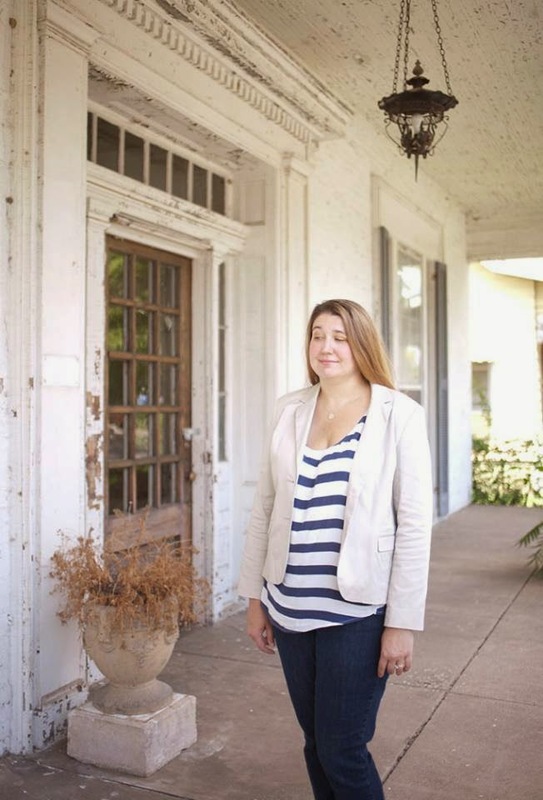 The third book in the series features Kelsey Wade, executive assistant extraordinaire to Kentucky Commission on Tourism marketing head Sadie Hutchins. Sadie and Kelsey have organized the office’s annual planning retreat at a remote lakeside lodge, complete with staff bonding activities and s’mores sessions, only to arrive at the lodge in the middle of the worst ice storm in the state’s history. The ice and snow knocks out power to half of the southeastern United States, closes the roads and generally shuts down life as Kelsey knows it. Fortunately, the empty lodge - and Luke, the handsome park ranger who runs it - has enough supplies to keep the KCT staff from turning on each other, Donner party-style. Normally, Kelsey wouldn’t mind being trapped with her co-workers, but recent tensions with her office crush, Charlie, have reached the uncomfortable, claustrophobic stage. The ice storm setting is actually based on my own experiences in the January 2009 ice storm, when I spent two weeks sleeping on a mattress in front of my inlaws fireplace with a four year old and an infant while my husband worked twelve-hour emergency shifts. We didn’t have electricity for twelve days. It got a little intense. I am a wee bit obsessed with sushi, particularly California and Green Dragon rolls. I have bruises up and down my arms because my karate class is working with nunchuks and I am TERRIBLE with them. Even the foam ones. If you were haunting a house, what type of ghost would you be? I would like to think I would be the helpful, kindly, lady in white type. But knowing myself and how I will likely die, I would probably be one of those horrible avenging wraiths. Thank you for visiting with us today, Molly. Would you like to ask our readers a question? Readers, what is the scariest ghostly "backstory" (reason for haunting) you've ever heard, in life or fiction? 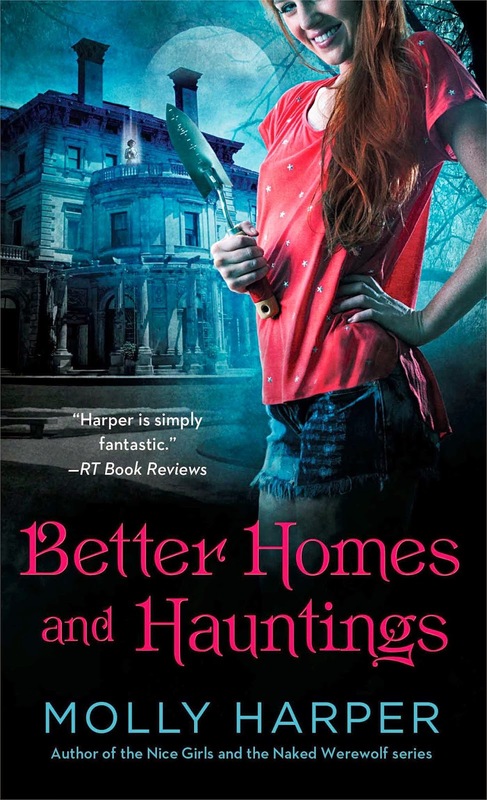 Molly will be giving a signed copy of BETTER HOMES AND HAUNTINGS to one randomly selected person who leaves a comment on today's blog. All of the back stories I have read are pretty scary. Tortured in love in some way & tormented in death. Some of them are pretty scary, aren't they? I'd want to be haunted by a friendly ghost. Okay, so if I read BHAH I will have to read it during the day and still have all of the lights on, LOL! I don't like to be freaked out and even go into the bedroom away from the t.v. when my daughter and husband watch a paranormal movie. I like the sound of the book Snow F on BG. A couple I know from church, and a good Christian couple, live in an old farmhouse. They had a little old lady ghost that would frequently pop up in their kitchen. The apparition always slightly smiled in a kind way, but never moved objects or such. When remodeling the kitchen and knocking out one of the walls, they found a very old pistol. Their little old lady stopped visiting after that. They couldn't find information about previous owners, but often wondered if she had been killed by that pistol. Wow! That gave me the chills, Deb! I just watched the Conjuring lol. Old homes that people were killed in or tortured. And of course there was the Amnityville Horror. I've always enjoyed a good haunting story but usually have to watch them by myself because my husband hates them! The big wuss lol. Wow! Ok, the whole description makes me want to snap this up and read it. I love a well-written paranormal and this sounds like you poured yourself into it and then some! Excited to read it and see if it's as good as it sounds! So do you know anyone who claims to have seen the monster? I'm fascinated by the possibility of love and romance in the spirit world. Anette Darbyshire explores this in 'Love in the Wrong Dimension' and contrives some ingenious ways to allow two ghosts to achieve their HEA.It is also possible for a ghost to be in love with a living person according to Linda Gillard in 'The Glass Guardian'. Ghosts messing with romance in the living world sounds an interesting idea Molly. I do hope Nina and Deacon figured out how to control those other worldly pests! Off to check out Annette Darbyshire. Thanks, Q! See here, I grew up in the old world, in the Orient to be exact, and ya know how people over there are. I mean 'ghost & haunting' is like a national hobby and bedtime story there. Heheheee..... :D Well, you hear it all the time, from everybody, and everybody loves to hear it and scares senseless at the same time. I'm not sure if I have the 'scariest' ghostly stories, haunting or otherwise to tell you, but I do have a few. Boo! Hmmmm well the scariest is Stephen King . Always.....but this sounds awesome....and so does your contemporary. I love Molly's books and I'm so glad the new one is about ghosts!! I love a good ghost story. Congratulations on the new book. There is a local ghost story about a woman in a white flowing gown walking through a park at night.